There are many ways to enjoy Dragonvale without spending money on gems. A common goal in the past has been the building of complete collections: one or two of every dragon; all of the egg pedestals; every decoration; etc. Recent changes such as long failure rates, low chance of breeding success and short-lived breeding windows make it apparent that achieving completeness will most likely be impossible without spending substantial amounts of money to buy gems. And even then there is no guarantee of success. Fortunately, even for those of us who are inveterate goal setters, there are many ways to enjoy Dragonvale without buying gems. I'll start with a few ideas - I'm sure others will add to the list. Not a Twin for every dragon, but a Twin for every dragon in your collection stated as a percentage. Again, a percentage of the dragons you have. I used to do this before my obsession with having a complete collection of dragons and pedestals. My favorite was a St. Patrick's Day island with a Irish green theme. Others have done this for a long time and are having a great time. It's harder now but hey, everything is relative. DV is a great excuse to hang out with this wonderful group, the most pleasant forum on the internet. I look forward to ideas from others on how to play this great game without spending money! ^the above is something everyone MUST read. I feel I have a lot to offer this thread. I have never brought a gem in this game. Not a single penny. Not because I don't want to, but I can't. I would love to support them, but with or without gems, I love this game. Lots of people have said things like " I spend less time on the game because of my 48hr fails." Here is my response: that implies that you ONLY go on the game to breed dragons. No wonder you are so bored. There is SO much more to this game. And if you don't do that part of the game, then of course you won't enjoy it. 1) To play without buying gems you must learn to control yourself. I decided a month ago that I wanted to buy one of the events' prizes that I didn't have. I knew that it would be a steep price. So I have been cutting back on spending gems. Normally I hang around the 50 mark, and I am now on 550. Commit and control. 2) Be patient- I'm not patient, but I always believed that not getting a dragon first time, meant try for it in BEB, or maybe even next time it's released. 3) Understand that the only time EVER that BFS forced us to buy stuff was the Easter Island. That's all. You may have conjured up oh her times when you felt gems were necessary. But they weren't. 4) Enjoy other people's parks designs. Visit theirs and decorate yours, it's HUGE fun. 6) Enjoy these forums. Seriously, there is so much fun here to be had, and I would play a game that I hate just to be part of a community like this! Last time I spent money on DV was February 2013. Still I managed all three parks to Level 70. I try to keep about 3,000 gems at each park. I only have 1,250 gems at Park 3 (local park) because I do not have any friends. Patiance is the key. I do speed up if it requires one gem before I go to bed or going out for more than several hours. If I need two gems, I often speed up. If I need three gems, I occasionally speed up. If I need four or more gems, I rarely speed up. Unfortunately when BFS introduced galaxy dragons, I ended up spending around 400 gems at Park 1 alone. Since I collect around 110 gems per week, I can quickly recover this loss. As I mentioned earlier, one of unusual goals at Park 2 is trying to collect most egg pedastals by fails. At Park 3, I got most permanent dragons by fails. The last two limited dragons released were epics. That means they are still breed able through the CBC. A complete set of Drsgons is not out of anybody's reach. My own personal goal is a complete set of twin gemstone dragons. Haven't even bothered chafing any of the Galaxy dragons yet, as they will always be there, and everyone will have them soon enough. The great thing about this community is that there will be heaps of people willing to share them when I have time to try for them. I love this thread! Thank you, Poppy for staying AND for challenging us to find new creative ways to play. Like Climo, I've learned to say no to speeding up .... After using too many trying for Elysium. I have recovered those gems and have around 500 in each park now. Nowhere near some players but better than I have had in the past. I could add a couple of strategies not mentioned yet. I'm going to upgrade the gemstone island habitats at the next event and put as many monthly gemstone dragons in them as possible; my little gem factory. Also I am on hold spending any gems for upgrades until the next event where they will count toward prizes.... So no speed ups and no upgrades. I come back later If there's only an hour or two. To avoid temptations I have stopped using the cave if there's nothing new to breed; it only clogs up the nursery and tempts me to speed up if something good comes along. Sorry to be such a GIRL but my goal is for pretty islands full of sakuras, lotus, elysiums etc. I honestly don't ever know what to do when a lodestone type comes out. 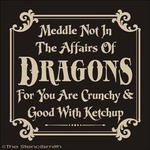 For future reference... Dragons hate to be chafed, it rubs them the wrong way! Have you been able to get each new gemstone as it comes out since the introduction of the CBC? Does it take you the entire month or have they come relatively quickly? I loved your goal idea of getting one of each but decided that I am going to wait and try to do just that during the BEB event. Do you think it's possible? Usually by BEB I am caught up with my goals so I want to save something to look forward to. I have an Emerald I got from my test account when I was confirming that it could be done. If I had thought about it more I would have tested with my wife's account so as not to cheat. Received a Twin Pearl from someone 2 weeks into June and spent the last two weeks CHASING ;-) Jade, with no luck. Hopefully I get Ruby early enough to try again at the end of July. As it is I received both twins I have rather than bred them myself, and that seems like the way it will go. The idea of getting more than one during the BEB seems unrealistic, and I will be spending most of that time going for Ovalith. And not really expecting to get it. Good. I spent the entire LAST BEB trying to breed Ovalith and didn't manage it. That is one TOUGH dragon to breed. I did end up with a third somehow after that -- did it come out with the Easter event perhaps? Though of course now it is in my tower for not wanting to take up the habitat slot. The Vale is lovely during nighttime! The twin Pearl was from me. I also tried to get a twin Jade breeding with your dragon, but only got regular ones. Sorry. I'm just finishing up with the galaxy dragons and then I'll try for a twin Ruby. I'll breed with your dragon if possible. I hope to have better luck this time. Really happy with my gorgeous avatar by ElektronX! Any and all friends for Cooperative Breeding are welcome. Gladly accepting any twins also. Thank you very much. As I said, with two or more people breeding with my dragon I am much more likely to receive the twin than to breed it. We could possibly work out a roster type system so that someone is the pick of the month and everyone else breeds with them. To pretty much guarantee they will get the twin. Have I suggested this before, or just thought about it to myself? I haven't heard it before. It's similar to the Galaxy Shower idea. I'd be willing to participate for sure. I have to admit that when Climo said he was earning 110 gems per week, it prompted me to see how that could be true and when I saw that I would have those same numbers I realized how much I really was squandering little bits at a time. So, thank you, Climo, for opening my eyes to the possibilities. It gave me the drive I needed to hoard gems successfully and I'm in a way better position to have gems for the upcoming event. I plan to use 25 for upgrades on regular days, plus speed ups to approach the 40 limit, 100 for upgrades on the cave etc on double days only. It's true. I realised when fletch did his "how much does your park earn per week?" questionnair. I'm currently on 650 gems after one and a half months, hoarding for the BEB. Did not know I could still get the Elysium and Midnight I missed!! Thanks Fletch! I can confirm Midnight. I got my first yesterday as a twin. I cannot confirm Elysium as I got that while it was still available. But I did get my first Delirium today as a twin I bred. So I expect Elysium is also possible but not likely. I have been trying For Midnight continuously in one park and sporadically in another since the CBC arrived. That's a LOT of fails. Elysium is definitely breedable, but has a low chance of being bred, so be patient! Noobie question - what's the BEB?? Shorthand for Bring (th)em Back. BFS have a history of re releasing all limited dragons and decorations for a month immediately after Christmas. There is speculation that this Faire will replace that as some of the limiteds seem to be appearing as rewards. How do some of you have so many gems? I am getting a couple of gems a day I only have 1 dragon that produces 1 gem a week and I get the rest from putting dragons in the coliseum which takes all day too. Ok so how many islands do you have? Question 2 how many islands do you generally have I have 3 not including my galaxy island, my gemstone island and my cooperative breeding island. Question 3 if I buy a theme does that come with a habitat for that theme. Finally I would like to have friends to breed dragons with in the cooperative cave. I am at level 23. I am at level 70, have been playing 3 years (? -- since the year of the Panlong) and am a bit stingy about how I use gems. I have friends I trade gems with, get Gold in Coliseum almost all the time. Have a gem island filled with gem dragons all at max level (Including updated habitats). I share on Twitter (and cancel) and Share on facebook when I get goals to get extra gems. My level 70, 14 month account has about 1200 gems. 3> No. Themes do not come with habitats. If you are running short on gems I would NOT buy a theme. They are fairly expensive and seem to come up as prizes at events on an irregular basis. Well there are 13 islands plus the Easter island. I have 12 and the Easter island. I have now managed to get to 1500 gems. How? Patience. I rarely spend any, and get about 6-7 gifts a day. To put it quite simply and bluntly, the best way to get more gifts and friends is to put out your account in this forum and participate often. It works, trust me. But there is more on the gem question. First off friends are the best source for gems. Followed by the colosseum. Each friend can give you a gem every day. If you have 20 friends. That means you can get a potential 20 gems from them. Of course each friend can only give out a maximum of 7 gems a day so you probably won't get that many. Still it will help enormously. If you are on another platform, post contact details here. Because of privacy concerns with Facebook, we suggest you request someone send you a pm for full details rather than post them directly. And of course send a pm to someone who has requested a friend. Even at L23 you should be able to get 5 gems from the colosseum most days. If you are only getting two, then you are doing something wrong. The colosseum responds to the element of the dragon you put in. And the level it is. Each day the element needed changes. It will tell you at the top of the panel what the element of the day is. Make sure the dragon you put in has that element. It doesn't have to be the first one. Just in the mix. It is possible to cover all the events with just three dragons, but that requires some very rare limited dragons that you probably don't have yet. As for level, the higher the level of the dragon the more likely you are to win gold. What most people do is choose their colosseum dragons and level them up preferentially as high as they can get them. You can save a lot of cash by using only five (or fewer) dragons over and over again. If you don't have a particular element, and at L23 you won't have them all, you will be at a disadvantage those days. Either put your highest level dragon in and hope. Or just skip the day. EDIT: oh and the best way to save up gems. Is to NOT spend them. Don't speed up food ever. And speed up breeding so only rarely. And then only if you need only one or two gems to do so. There are things you can only get with gems. Save your gems for them. Speed ups can be avoided by being patient. Just wait that extra hour or two. You will be surprised at the difference it makes.